There are numerous series of drinks that go by the moniker Daiquiri, though some have the same basic outline some are completely their own stand alone cocktail. The best example is the Hemingway Daiquri. Legend goes that one day Ernest Hemingway wanted something a little extra in his drink and the bartender whipped up his favorite Daiquri with some maraschino and grapefruit juice. The accepted recipe is White Rum, Lime, Grapefruit and Maraschino Liquor (an Italian distillate made from marasca cherries). The problem is a lot of recipes vary. Here are a few widely regarded builds. Though these are all different the same idea behind them is the addition of maraschino and grapefruit. Of course the main focus is to find the balance between all four ingredients. And lastly whether or not to garnish with a lime wedge, wheel, peel or nothing at all. Other important factors that shouldn’t be overlooked is the Rum and the juices. Is the Rum super dry? Is it subtly sweet with vanilla tones? Are the juices squeezed by hand or with the help of a machine? Sounds crazy to look into all these tiny details but, those tiny details add and distract from the balance of a drink. Try it. Taste lime juice juiced with a press versus a sunkist juicer and you’ll notice differences. As a bonus taste them at 1 hour intervals as well and you’ll see how much they’ve changed as well. Diffords. The Diffords Daiquiri is completely different from most other established recipes. The main difference is that we are going increase the Rum and change it from a Dry White Rum to a Heavy Aged Rum. This is going to be more spirit driven with the notes of vanilla, molasses and warm spices being prevalent in the drink. It’s a rum drinkers daiquiri. These are both very different drinks with the suffix of Daiquiri, so is one more of a Daiquri than the other? The history of the Daiquri is pretty vague but, I can easily say some of the earlier renditions seen in the Bar Flordia Cocktail book that loaf sugar was preferred as well as maraschino to accompany lime or lemon juice and rum. I feel that now in this whole cocktail thing- one simple truth can be agreed on. A Daiquiri should be Rum based, with some addition to a sweetening modifier; be it a sweet liquor, sugar or a combination of both and acid in the form of citrus to add balance. Which leaves us with a wide enough umbrella to create some amazing cocktails. At the end of the day it shouldn’t be forgotten that a Daiquri-frozen, shaken, stirred, flipped, tumbled, or whatever is a drink that at is core should be taken seriously and equally should be something fun, refreshing and easily drinkable. Let’s make some drinks! 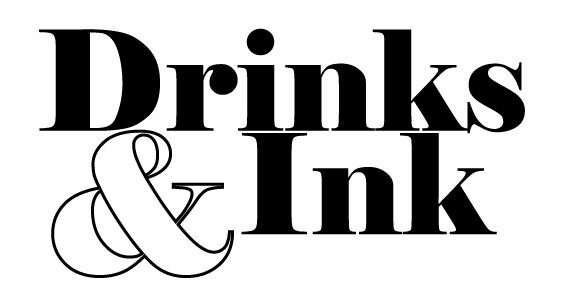 Hi DrinksAndInk, your article is an interesting view of the topic, but, in my humple opinion, these are 3 different types of rum drinks in your article. In my view a daiquiri needs a white rum, sugar and lime. Diffords daiquiri isn’t a daiquiri, it is a rum sour, because Difford use an aged rum. That isn’t a statement about good or bad, it is a classification. And the Hemingway Daiquiri is a twist of a daiquiri, just a damn good twist . I love it. If I mix rum drinks my first choice is lime not lemon. Rum and Lime make a good team.